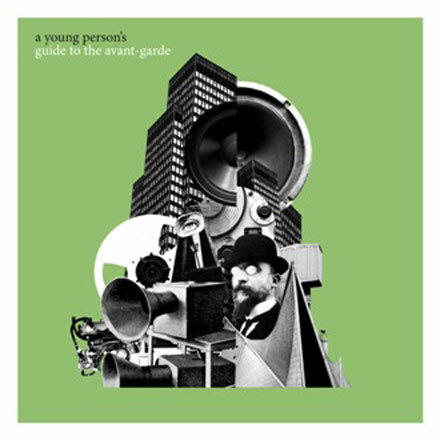 A Young Person's Guide to the Avant-Garde is an accessible, comprehensive primer that surveys modernism and music in the 20th century, offering Futurist noise, dreamy Surrealism, Dada tone poetry, serialism, prepared pianos, musique concrète and early electronic works. With a generous playing time of 145 minutes, this deluxe double CD set is presented in a handsome 6 panel digipack, containing an illustrated booklet with detailed historical notes. To purchase CD simply click the button below the cover image. 1-1 Published by Sacem/G. Ricordi & Co.
1-8 Published by G. Schirmer Ltd.
1-9 This recording appears courtesy of Riksconcerter/Caprice Records, Sweden. 1-10 Published by Sacem/Chester Music. 1-13 This [...] recording was made on 12 March 1929 [...] The underlying music is 'Holidays'. 1-14 This abridged recording was made [...] for Sud-deutschen Rundfunk radio on 5 May 1932 and appears courtesy of Ernst Schwitters and Cosmopress Geneva. 1-15 This restored recording appears courtesy of Jaques Frankael and INA, France. 2-1 Published by Peer Southern/Faber Music. 2-4 Published by JMH/Universal Edition. 2-7 This performance [...] was recorded in 1963. Published by Associated Music Ltd/G. Schirmer. 2-8 The performance featured here lasts exactly 4'33", the remainder of the running time being pauses and applause. Compiled [...] for LTM (2013). Mastered [...] at Flow Mastering, London. Design and packaging [...] at Aleph Studio. Verdant piano by Peter Mertens (Brussels, summer 2007). With thanks to Daniele Lombardi and Peter [misprinted as Dieter] Beijersbergen Van Henegouwen.